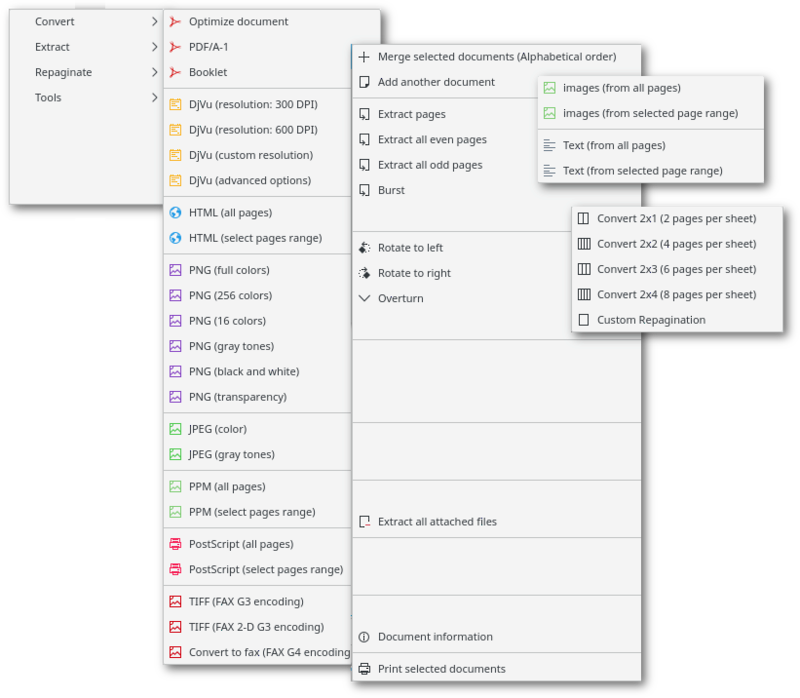 KDE services menu are packages that extends the functionalities of Dolphin/Konqueror adding many additionally sensible menu, reachables with right click on the files or directories. Manipulate images e their metadata. Rename jpg and tiff files with data content in Exif metadata. Rename jpg and tiff files with file's data. Set file's datetime from Exif date. 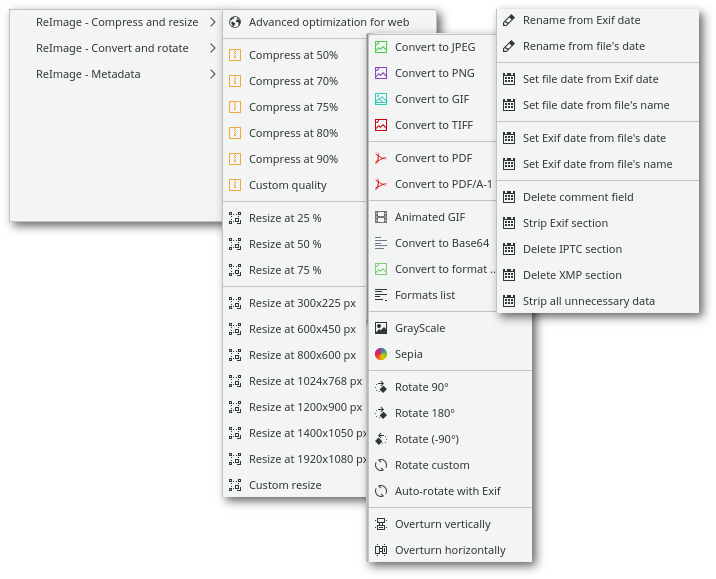 Set Exif datetime from file's date. Set Exif datetime from file's name. Backup and restore files and directories using Dolphin/Konqueror. You can use shell scripts for your remote server. Restore last/first backup. 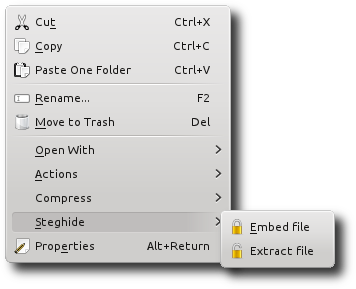 You can select base file/directory or a backup. 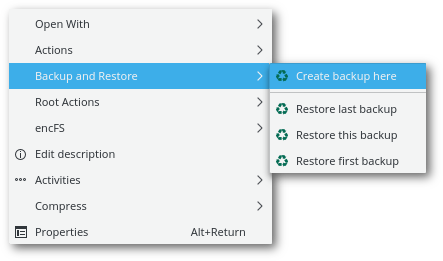 When you use "last" or "first" options, restore script calculate original item name and restore the last or first backup of base name item. JPEG, BMP, WAV, AU files with or without password.